Collection of 'Must Have Gadgets for Guitarists' from all over the world. 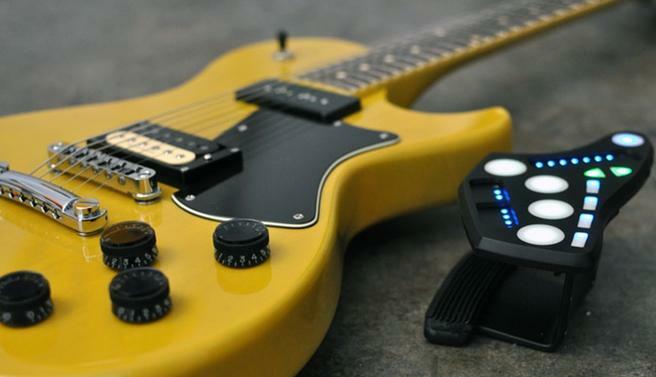 Kurv Guitar: This stringless digital guitar lets you learn and play songs using touch, gestures and more. 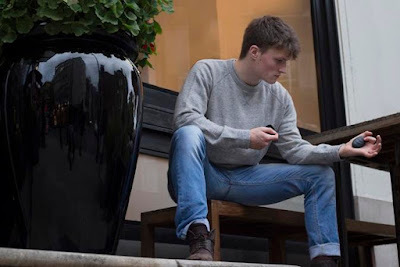 The device detects the pressure of your fingertips, and lets you manipulate the sounds. This wearable system is capable of detecting your moving fingers and lets you move seamlessly up and down a virtual fret board. 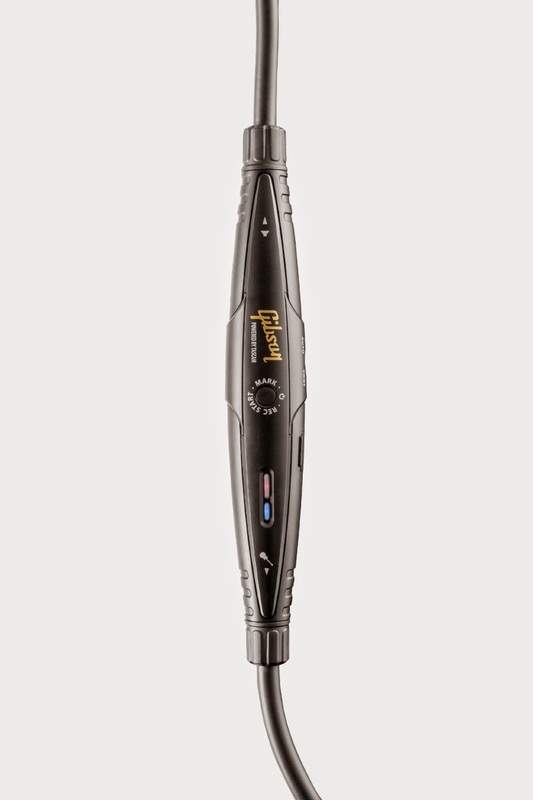 It senses the strumming or plucking just like a normal guitar and reacts to your tempo fast and slow. It comes with Bluetooth 4.0 connectivity and on a recharge can last for up to 8 hours. Pre-order: $245. Gtar: Gtar is an app-enabled smart guitar that's built exactly like a real guitar and comes with multi-touch light fretboard that makes it easy for you to learn, create, and play music. Its fretboard shows you what to play and tracks whether you're doing it correctly. Use its app to learn your favorite songs. The gTar is MIDI-compatible, so you can plug it into your favorite apps. Buy Now: $699. 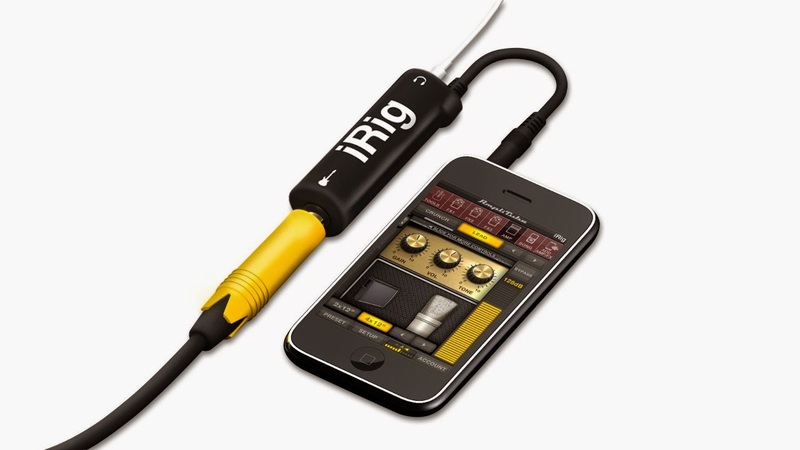 irig Pro: The irig Pro features compact audio and MIDI interface that allows you to make music on the go. Buy Now: $144.92. 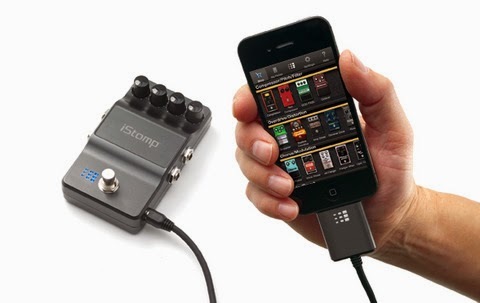 iStomp: The DigiTech iStomp is a programmable guitar pedal that supports 47+ e-pedals available in the Stomp Shop app. 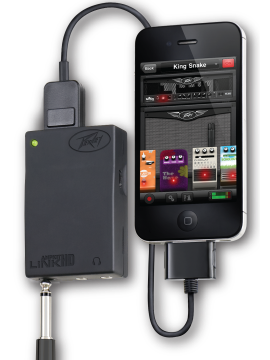 You don't require the iOS device to be plugged in all the time, the iStomp does all of its processing internally. Buy Now: $79.63. 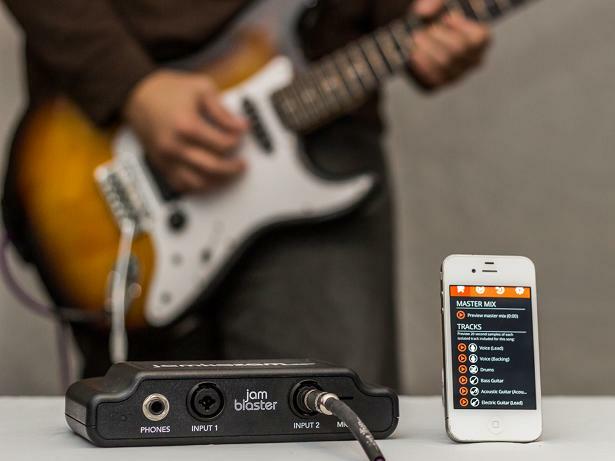 GuitarConnect Pro: The GuitarConnect Pro allows you to plug your guitar input to your Mac, iPad, iPhone or iPod touch. You can use your smart device screen to tune, record, edit, adding effects, and overdub while you play. What more, you can plug in a guitar, bass, keyboard and more that takes a 1/4" mono plug. Buy Now: $17.94. 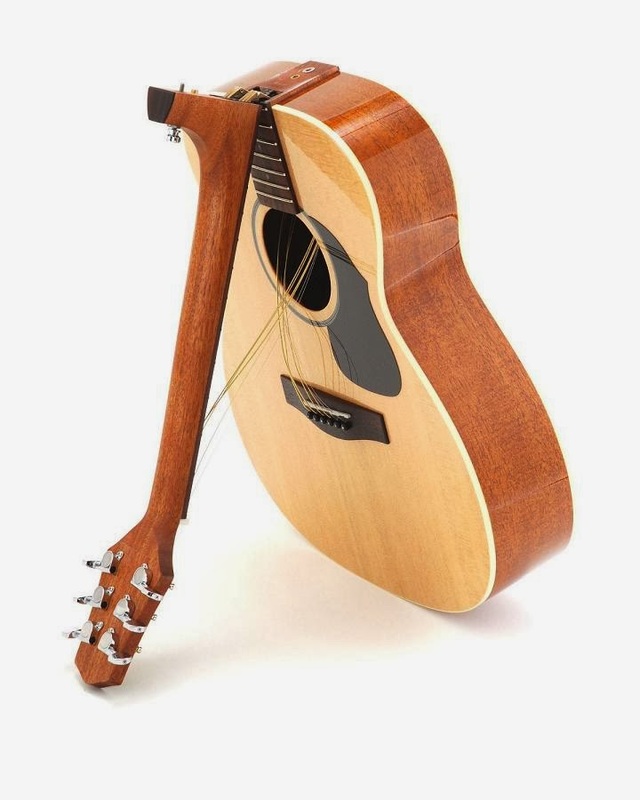 Guitar Wing: The Guitar Wing works with any electric guitar or bass and requires no modifications to your instrument. It attaches and can be removed easily, using wireless technology it communicates with your computer. It includes the Wing FX™ software plug-in, iOS apps and MIDI effects. Buy Now: $149. 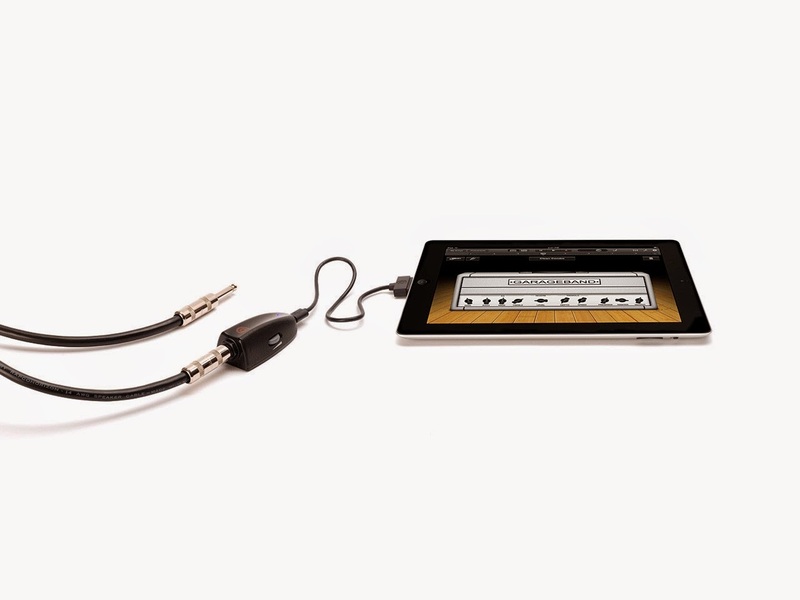 Gibson Memory Cable: This 16-foot cable features a built-in, super-compact recorder that can store over 13 hours of audio. All you need to do is plug the cable into your guitar, press a button, and the cable records everything you play. Buy Now: $83.12. Sonoma GuitarJack: GuitarJack Model 2 is a high quality iOS audio input and output interface that connects a wide range of instruments, microphones, and other audio hardware to the iPhone and record them with apps like Fourtrack and StudioTrack. Buy Now: $199. 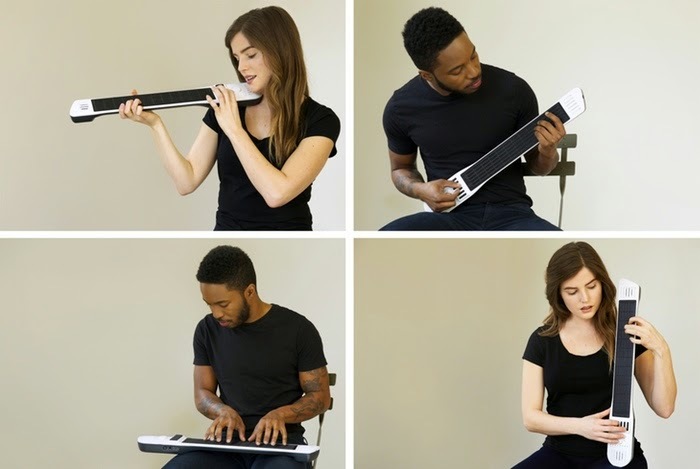 Artiphon Instrument 1: Artiphon Instrument 1 gives you an intuitive way to create music and play any sound. This compact, portable, durable, self-powered device connects to your smartphone, or computer. Its patented multi-instrument technology transforms the device into a guitar, violin, bass, piano, drum machine... it's any instrument you want it to be. 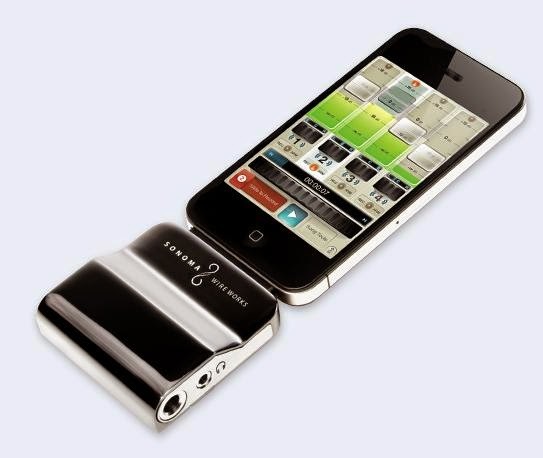 Using its app you can design new instruments and customize tunings. Its fully MIDI-compatible and works with 100's of MIDI apps and software like Ableton Live, ProTools, Logic, and many more on your computer. Pre-order: $ $449 . 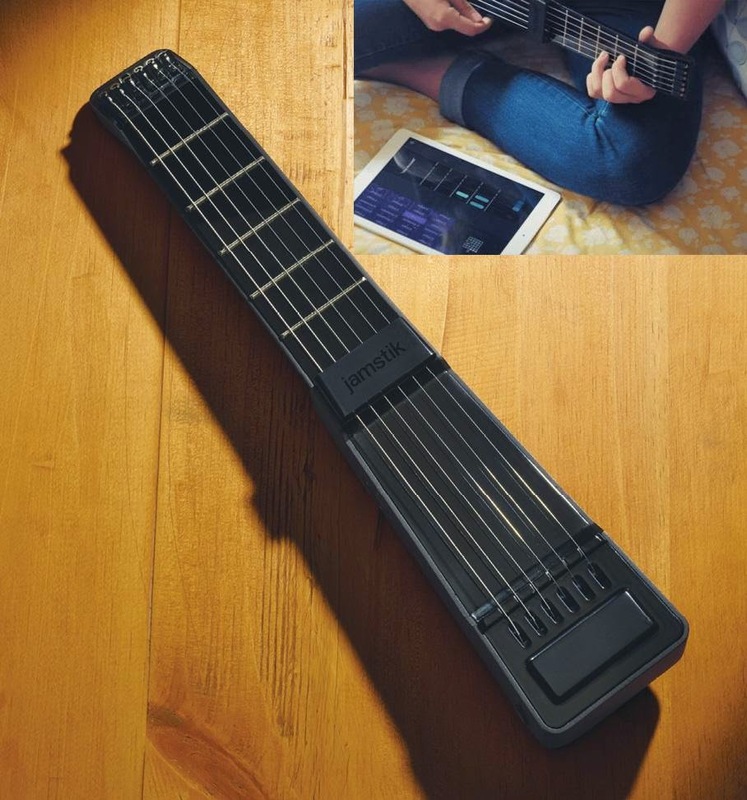 jamstik+: This smart guitar is designed to bring vision of playing music to your life. It connects wirelessly to your iPad, iPhone, Mac via Bluetooth LE and its apps to get you playing right away. Its apps guide you from how to hold it correctly, all the way to creating your own song. Its jamTutor app walks you through a series of lessons while jamMix app lets you just start playing. Its is more than a guitar, its also a MIDI controller that allows it to sound like almost any instrument you can think of. It also connects with other music apps like GarageBand, Sampletank, and Ableton. Buy Now: $329.99. Electronic Guitar T-Shirt: It has an electric guitar built right into your shirt, comes with a mini-amp that clips to your belt and goes all the way to 11. Buy Now: About $43 (£29.99). AmpKit LiNK HD: AmpKit LiNK HD is a pure digital guitar interface that connects to your iPhone and gives you the needed guitar effects on the go. It also connects via USB on the Mac, and also supports iOS devices. More info. 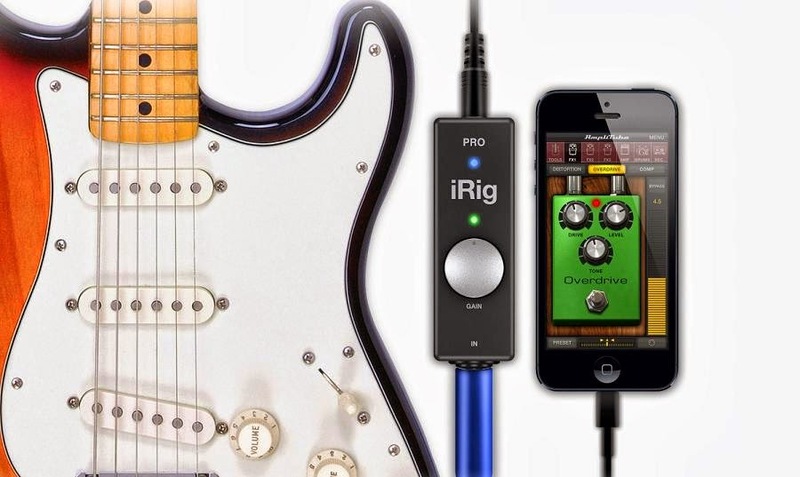 iRig: The AmpliTube iRig combines an easy-to-use instrument interface adapter with guitar and bass tone software for your iPhone, iPod Touch, or iPad. Using iRig, you can plug your guitar into your favorite Apple mobile device and play anywhere with top-notch guitar and bass tone right in the palm of your hand. Buy Now: $38.30. Folding Neck Guitar: It's a VAOM-04 folding orchestra model acoustic guitar of Songwriter Series from Voyage-Air. Buy Now.